The Banda Islands, The original Spice Islands. Overlooked by the imposing 600 metre volcano Gunung Api, the Banda Islands host many treasures; historical, cultural and natural and this intriguing destination also features an incredibly rich marine environment. Infrequently visited due to both their physical location and the open oceans surrounding them, these islands and their adjacent dive sites offer the opportunity to interact with the more wild side of the Indonesian archipelago. Due to being home to what was then the only known source of nutmeg in the world, the Banda Islands were the centre of the Spice Race throughout the 16th and 17th Centuries, with their exact location a closely guarded secret. Many battles were fought over control of the islands. These days Banda town has a peaceful and sleepy village feel, with just a couple of hotels and a limited number of homestays hosting the handful of tourists that make it out to the region. Cruising in the Banda Sea is somewhat curtailed by the steep underwater topography of the Banda archipelago, with one main anchorage area that vessels usually return to a er day long explorations to the neighbouring islands. Standing off is a certainty in some areas. Ambon is the embarkation port and has a large runway which can comfortably handle most private aircraft. The city is quite basic however, but multiple daily domestic connections to Bali and Jakarta mean that logistics are relatively smooth in the area. Visitors can enjoy land expeditions throughout the nine small islands in the archipelago, but the main focus is usually on the island of Banda Neira with its remaining heritage sites from periods of Dutch, Belgian and English colonisation. Fort Belgica is situated on the hill ominously overlooking the town, and the original cannons still reside in the turrets as if protecting the island against invaders. 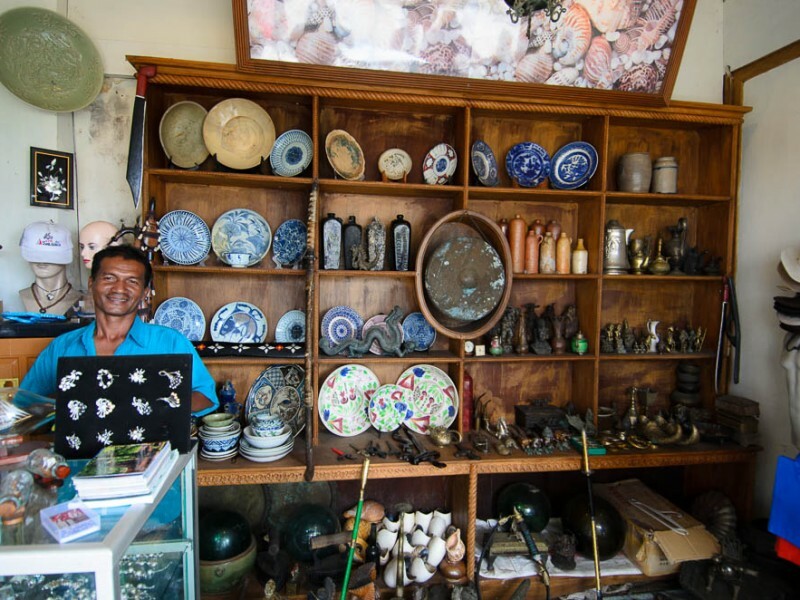 Other places of interest include a Dutch Palace, an artefact filled museum and the last remaining nutmeg plantations on Lonthor Island. The Banda Sea does host a remarkable variation of cultural and historical sites, but one of the most inviting features the region has to offer is without doubt the excitement and enthusiasm with which adventurous visitors are welcomed by the local communities, showing their genuine warmth and affection. The pristine reefs that surround the shorelines of the fabled Spice Islands are home to some of the world’s most beautiful underwater scenery. 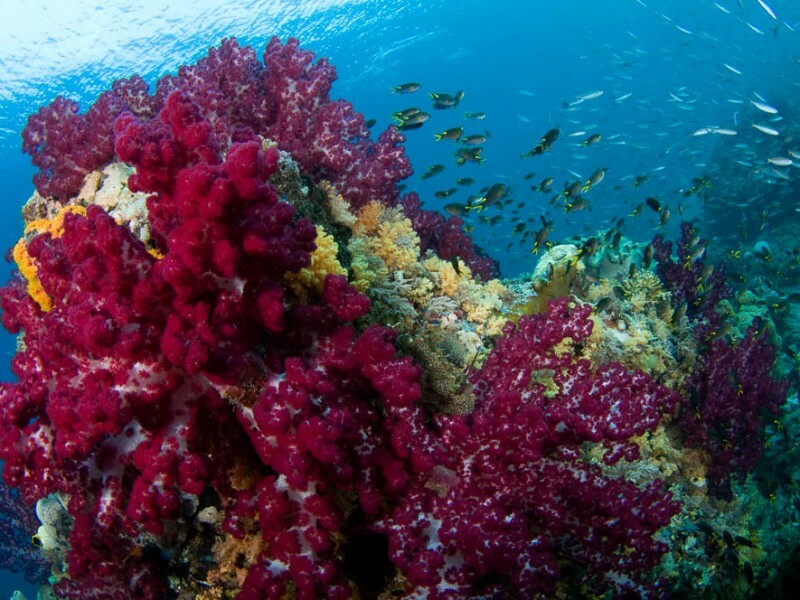 The region is famous for the crystal clear water on almost every dive, coral encrusted walls, slopes and swim-throughs. Photographers and snorkelers can visit the fastest documented growing table corals in the world, covering the 1988 lava flow from Banda’s volcano, Gunung Api. Migrating whales and pods of dolphins are frequently seen here too and the fertile volcanic mineral enriched waters seem to have offered the inhabitants a growth hormone. Over-sized specimens of many different species inhabit the pinnacles, slopes and lush walls of the area, forming a thriving marine paradise. 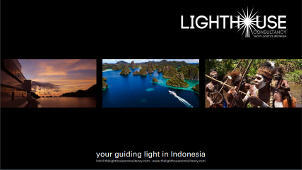 “Thanks again for the exceptional service provided through Lighthouse Consultancy for the duration of our recent voyage in Indonesia. It was a major bonus also that you have extensive personal knowledge of the areas we visited and were able to pass on much appreciated tips, advice and contacts.